I Was Introduced To Crystal Dream By Thrifty Nifty Mommy! 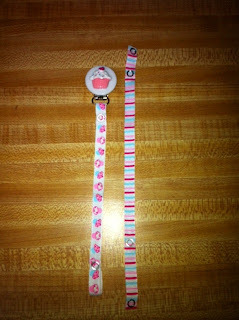 Crystal Dream's Is An Etsy Shop That Sells Personalized Baby Bracelets, Beaded Paficier Clips & More! With A Little One Who Uses A Pacifier, I Personally Thought Crystal Dream's Items Were Adorable! When My Daughter Was Born, We Were Unsure Of What "Type" Of Pacifier She Would Want To Use (She Actually Liked The One The Hospital Provided). 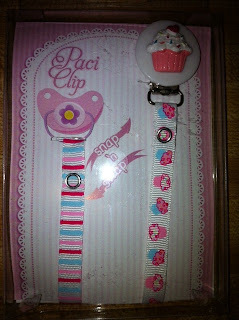 I Didn't Have A Pacifier Clip When She Was A Newborn, But Trust Me, I Wish I Did! My Crystal Dream Sent Me The Pink Cupcake Pacifier Clip W/2 Matching Ribbons That Snap 'N Swap! Sorry She's Kind Of A Mess! We Actually Are Weaning Her From The Pacifier, But She Helped Me Out With Picture's! I Love The Ease Of The Clip & The Colors Are Perfect! Connect With Crystal Dreams On Facebook, Twitter & Pinterest! 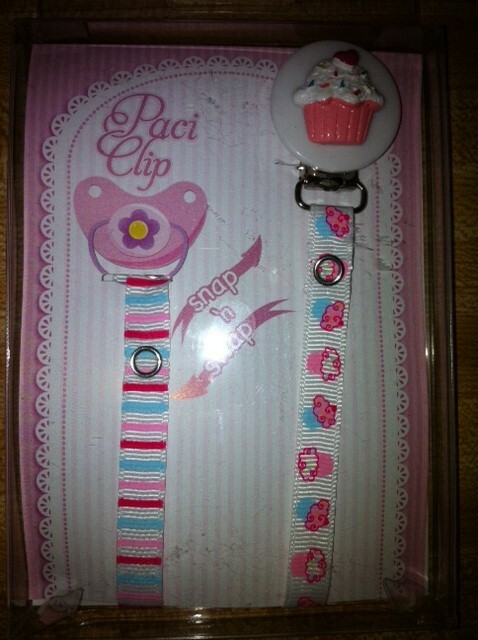 Buy It: Visit Crystal Dream's To Purchase Your Own Pacifier Clips, Baby Bracelets & More! Win It: One Lucky Reader Will Win A $25 Shop Credit To Crystal Dreams! I would get a beautiful bracelet for my niece for her baptism. I would get: Blue Teddy Bear Pacifier clip with Blue and White Pearls for my nephew!